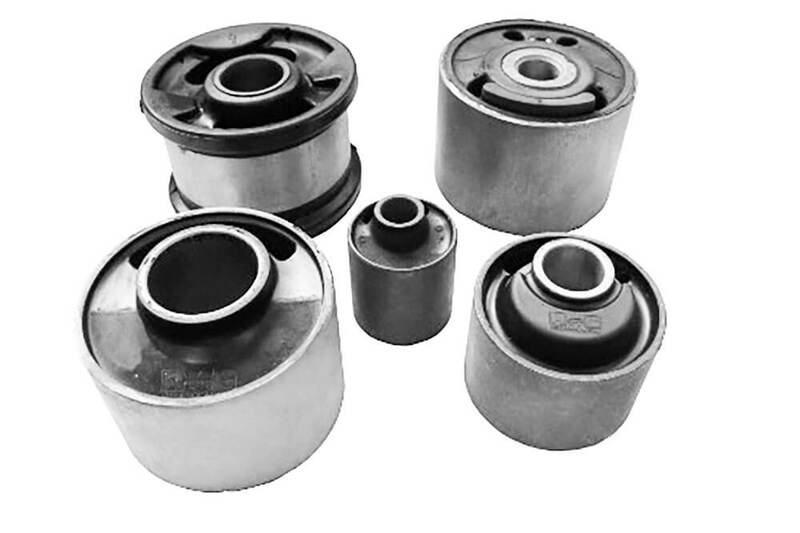 Machinery, which, by virtue of its design has reciprocating or rotating parts, creates vibration to some degree through imbalance of the moving parts. 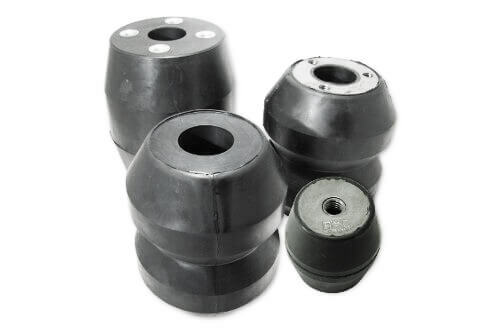 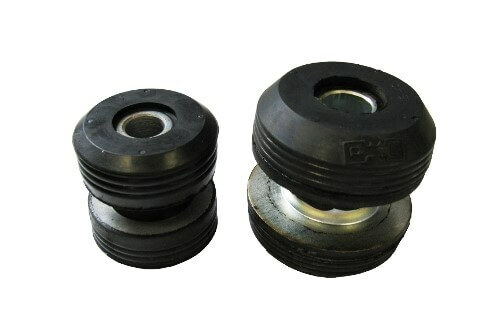 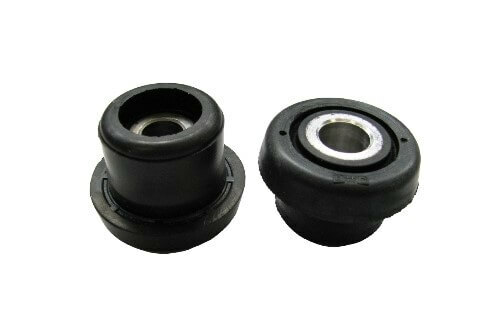 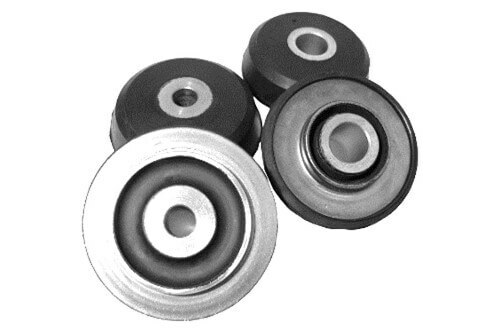 It's necessary an anti vibration mounts because this vibration produced by a machine leads to different problems, such as a reduction in the machine’s useful life through part wear, plus the transmission of this vibration to other noninsulated adjacent structures, giving rise to problems of noise and vibration transmission. 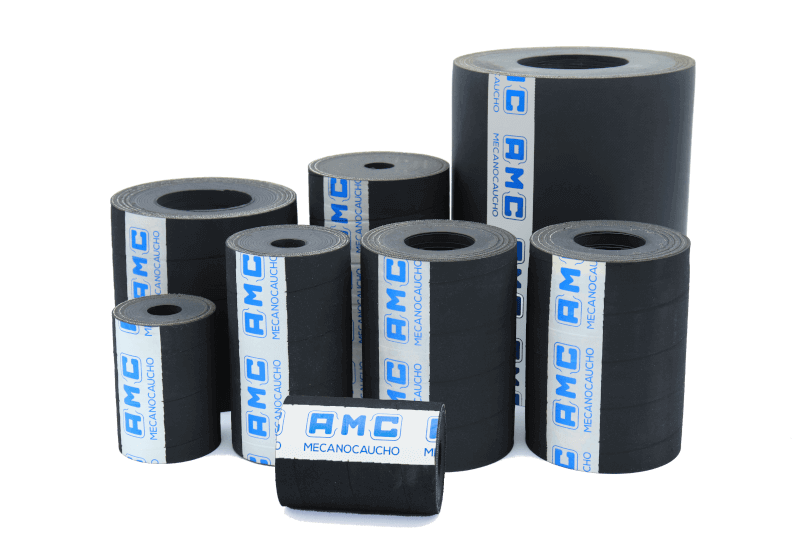 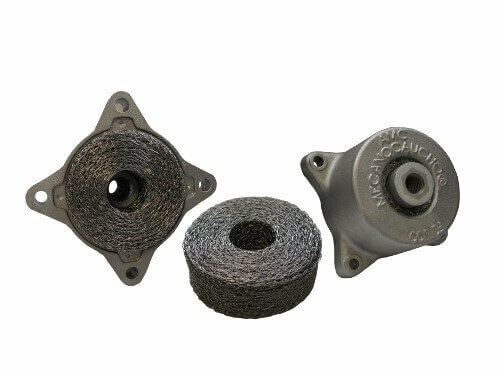 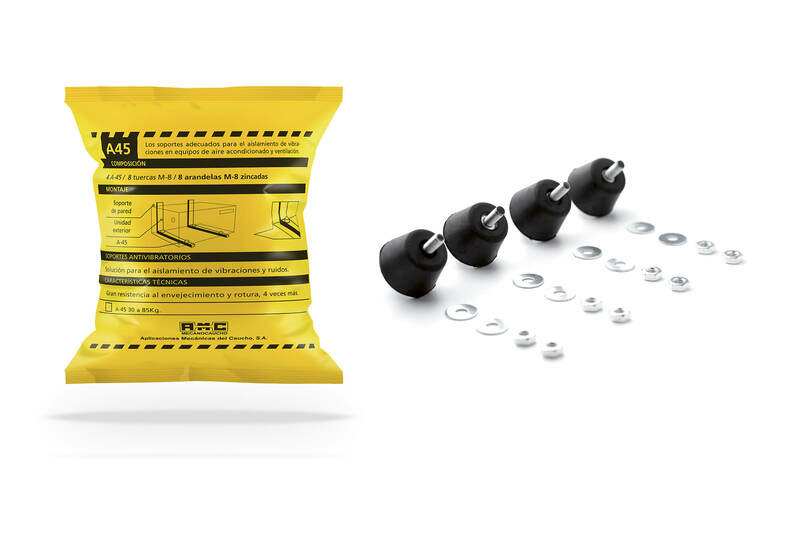 For more than 45 years, AMC MECANOCAUCHO® has been developing the "AMC MECANOCAUCHO®" range of anti vibration mounts which can solve problems like the ones described above in all types of machinery, mobile or static, thus protecting people and the environment from the harmful effects of noise and vibration. 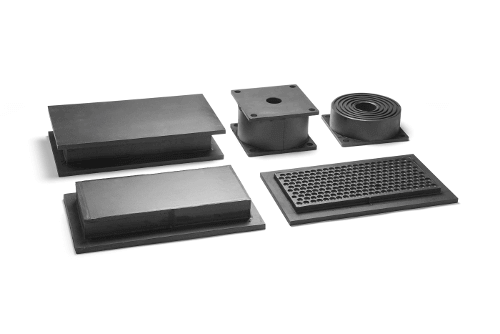 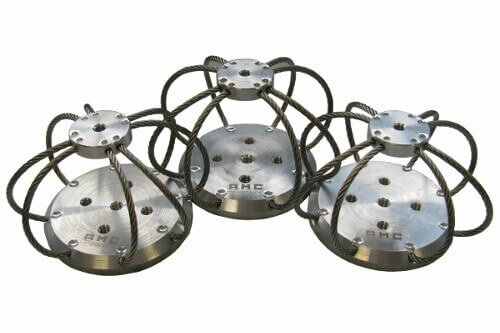 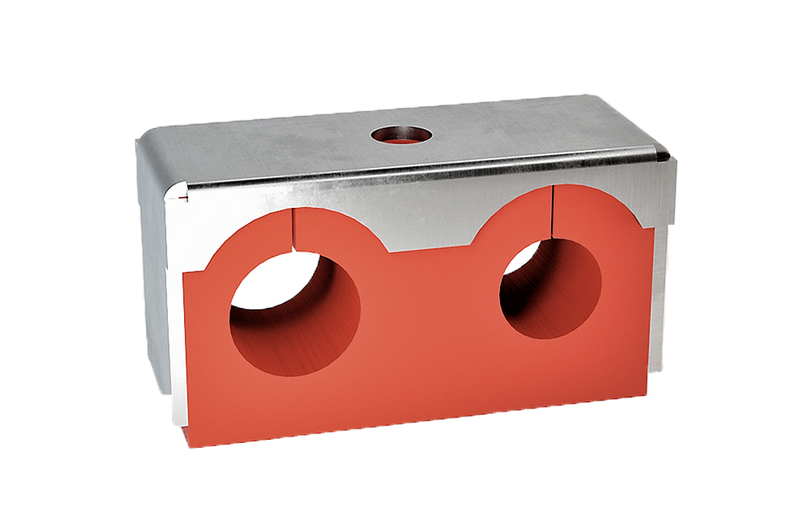 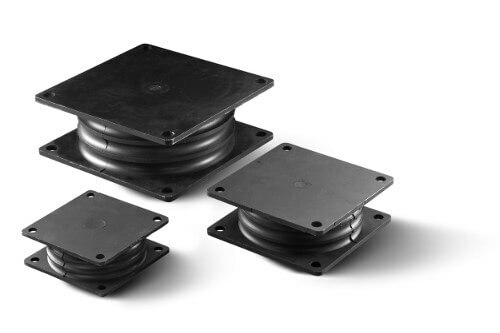 Captive mount suitable for applications where vibration isolation is a priority. 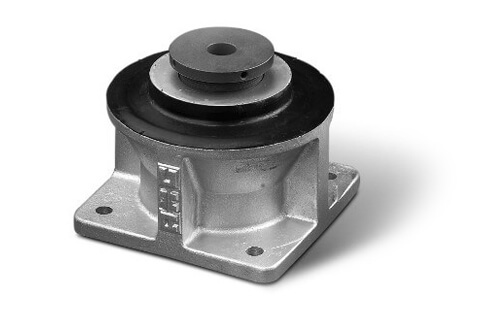 Engine mounts suitable for the isolation of mobile rotating machines that require control of movement and fair values ​​of vibration. 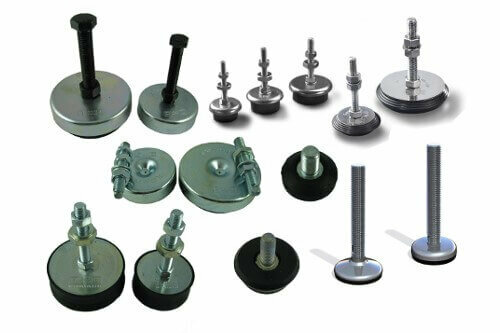 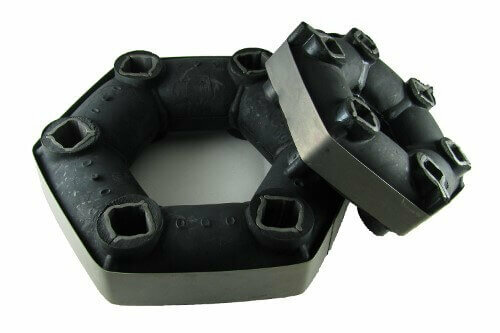 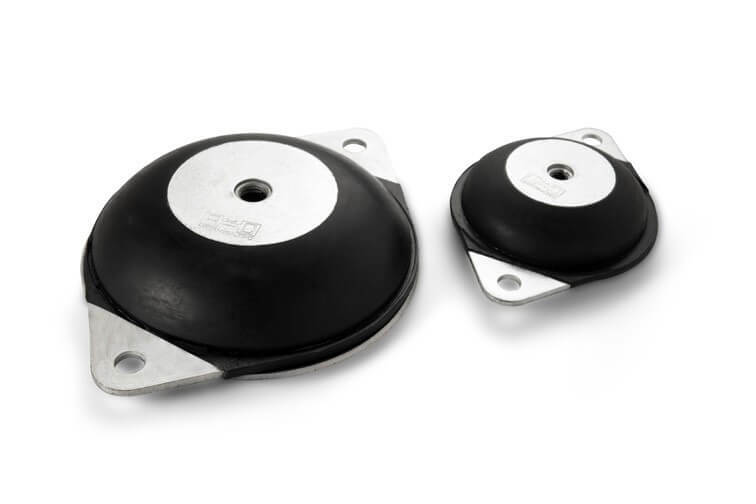 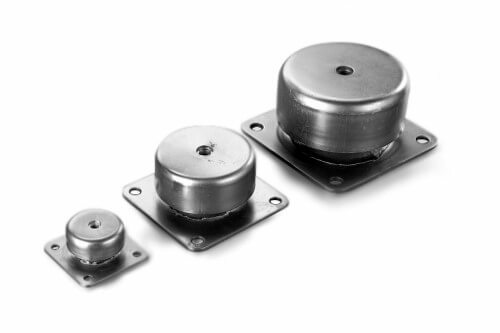 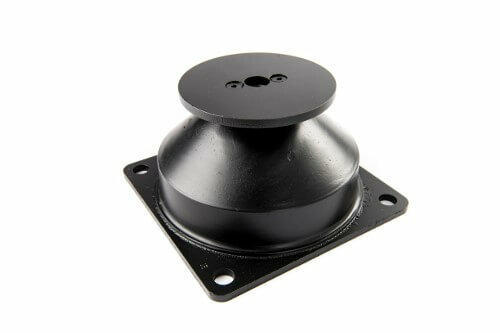 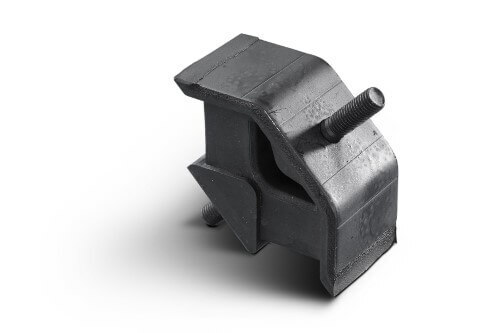 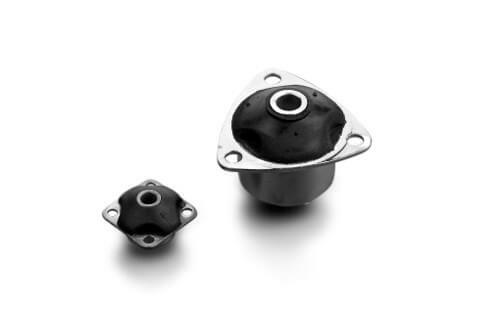 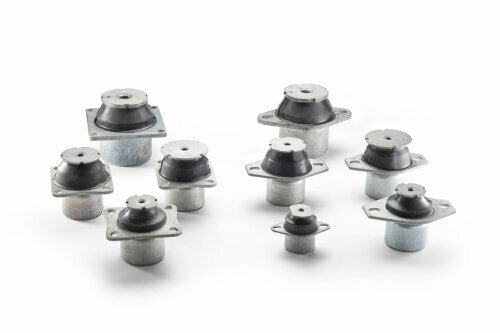 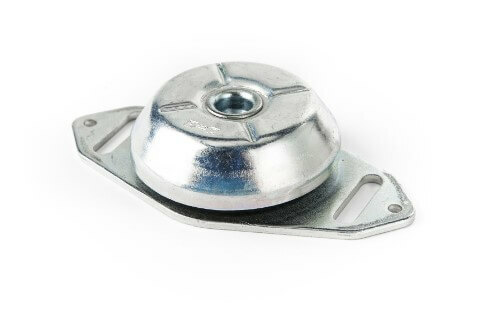 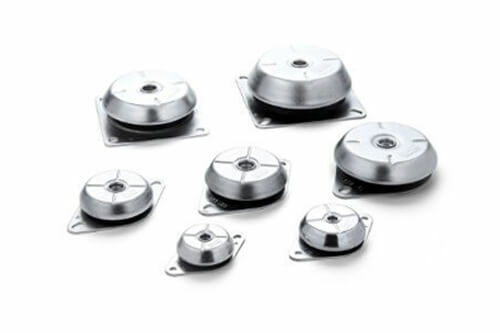 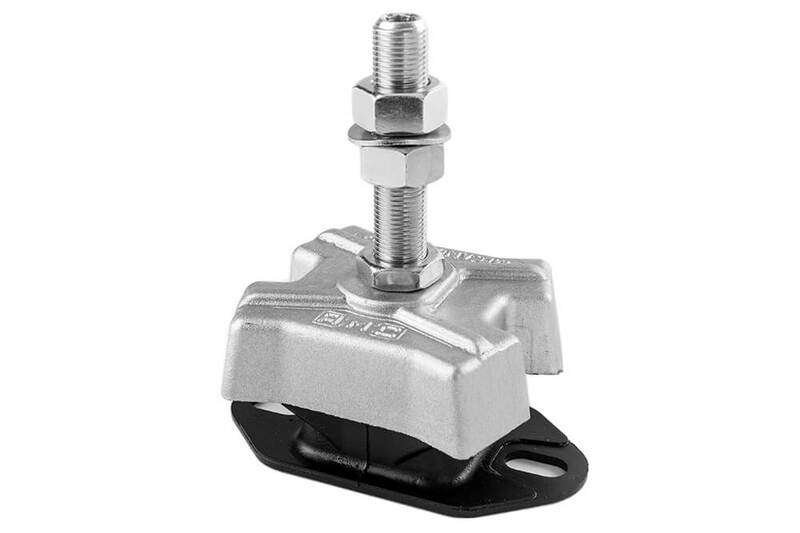 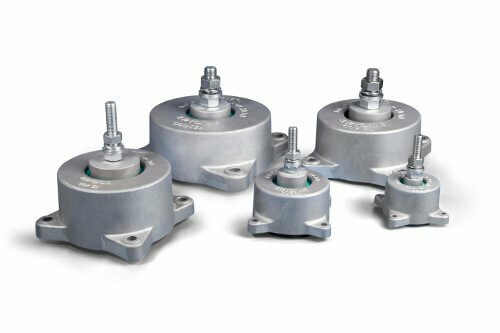 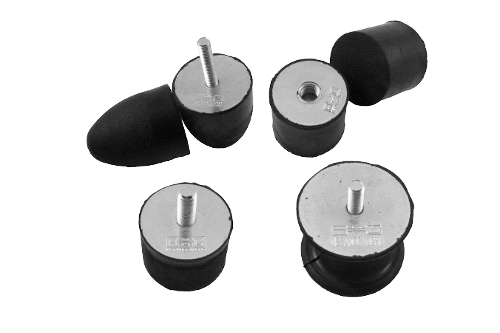 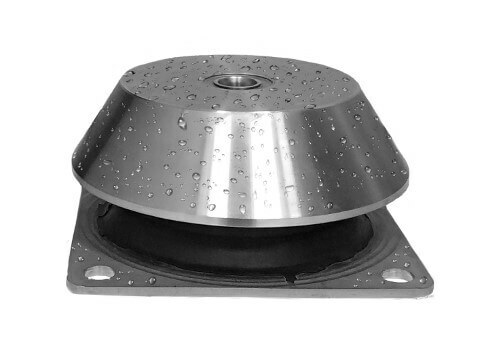 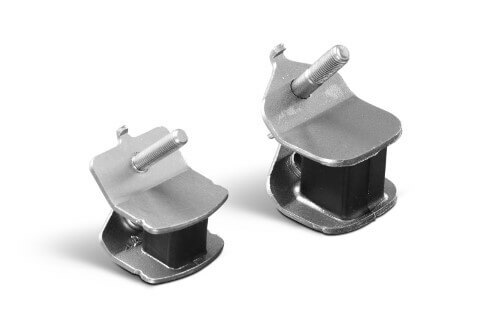 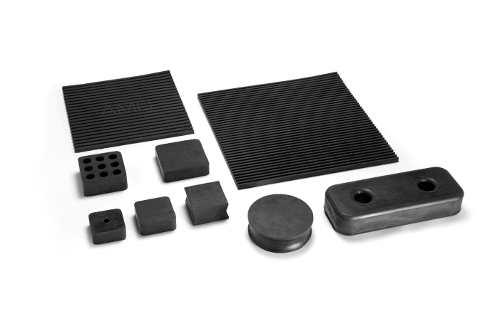 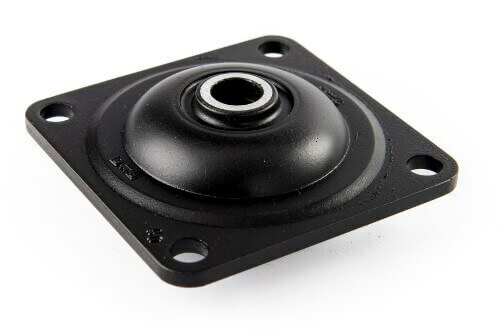 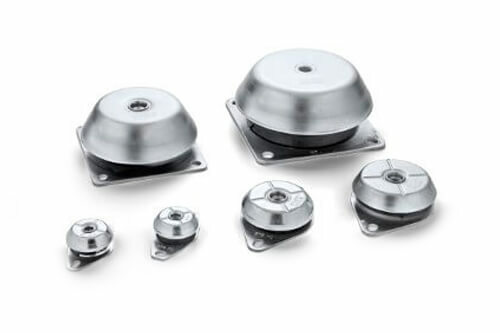 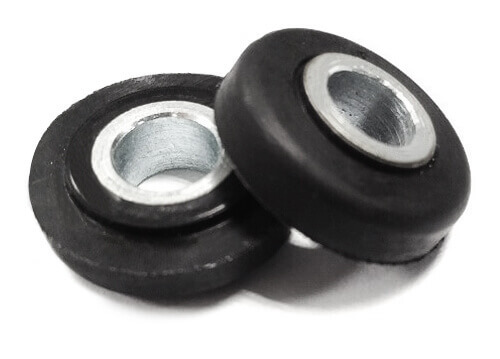 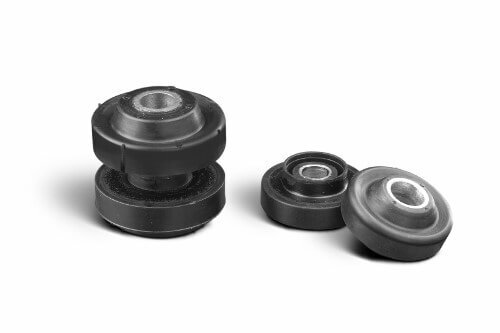 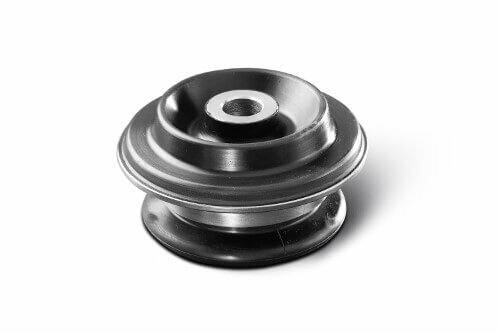 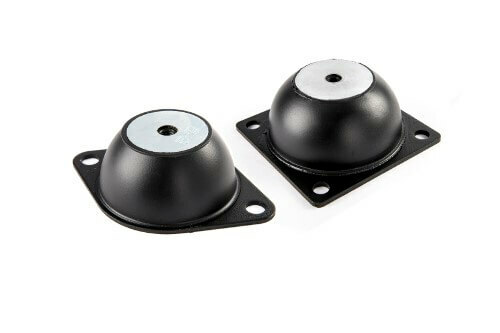 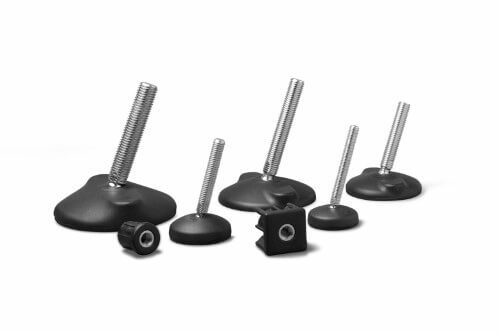 Anti vibration mounts suitable for applications where a greater control of movement is required. 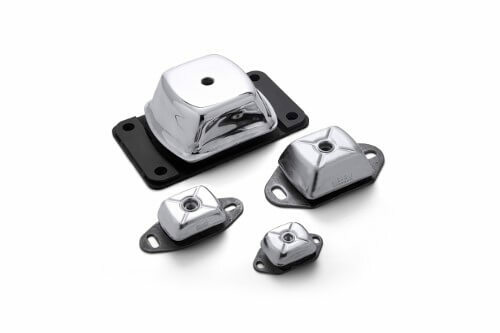 Marine mounts are ideal for mobile applications because of its rugged architecture. 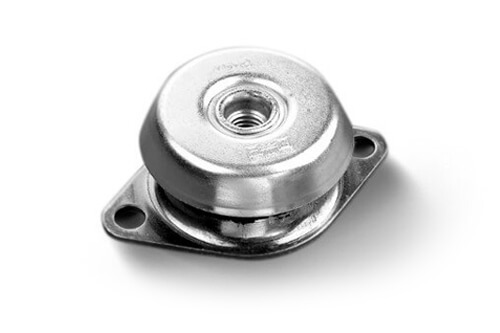 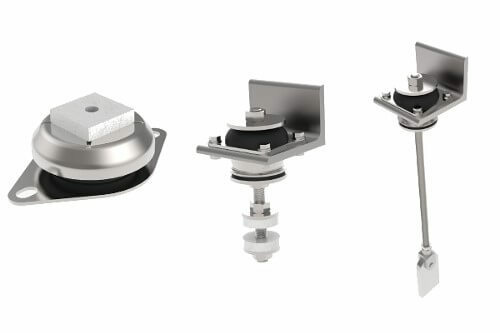 Marine mounts type XD are ideal for mobile applications because of its rugged architecture. 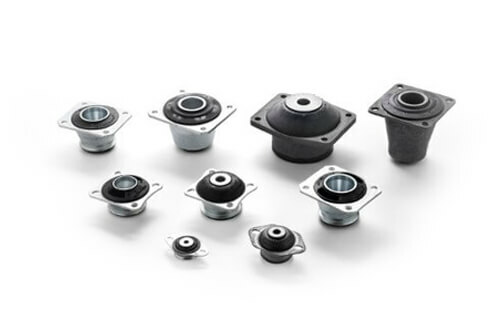 Cones mounts are designed for use in engines and auxiliaries in static applications and vehicle applications of all kinds. 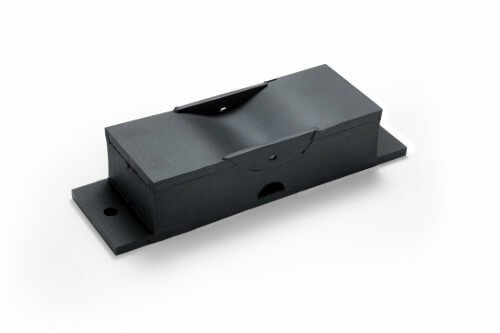 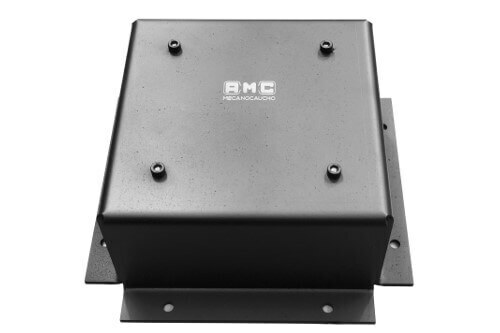 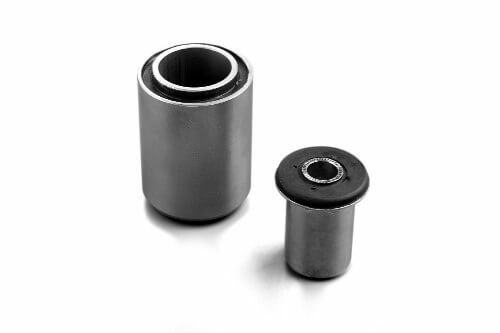 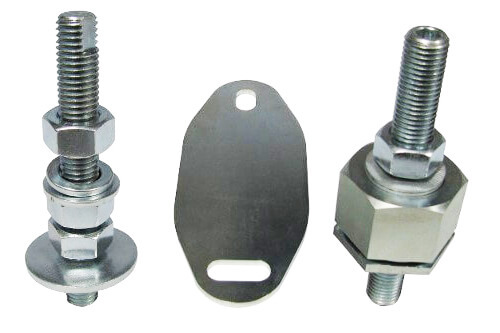 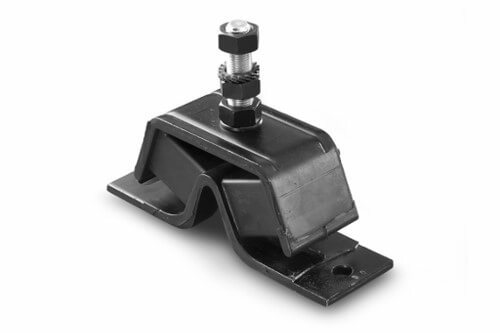 Cab mounts are advised to isolate vibration and noise in cabins and other vibrating machines. 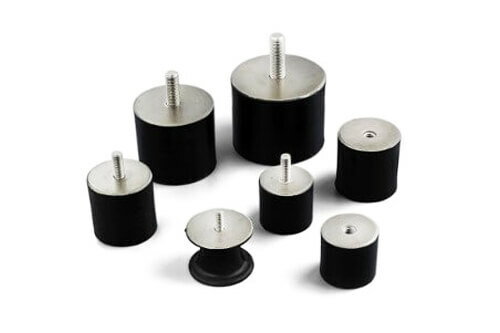 The levelling machine mounts are used in cases where the light or heavy machines must not be heavily fixed.